If you’ve bought a home or you have an existing property that desperately needs gutters repaired or cleared out it can be tempting to climb onto your roof and attempt to clear out leaves and debris yourself but are you qualified and experienced to do the job properly? While you might be handy around the home or your property, ensuring your guttering is cleared and free from blockage can sometimes be harder than it sounds and you might need to call in the experts in some cases. Ensuring you pay someone to clear out your gutter is essential if you want to ensure the project is handled properly and your home is protected against further damage. Amongst other things, blocked gutters can cause internal roof damage during torrential rain which can wind up affecting your roof and causing annoying leaks throughout your property. If water or debris is stuck in your gutters for a period of time, your gutters will wind up degrading which will be an issue for the overall drainage of your property. 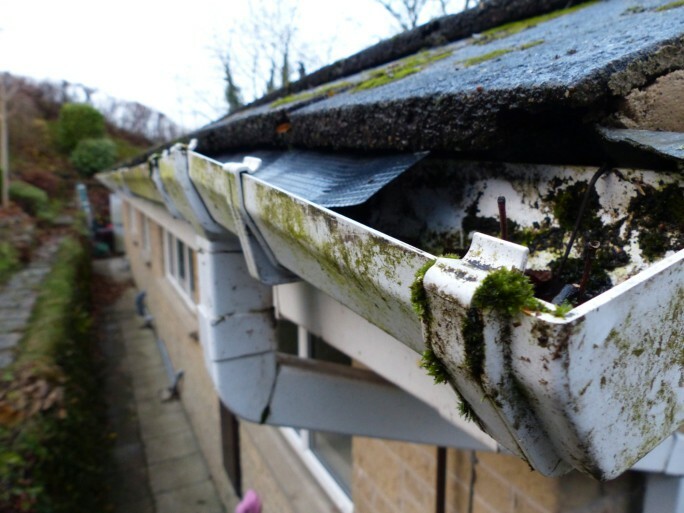 By clearing debris correctly and ensuring there is nothing stuck in your gutters you can ensure that there are no foreign objects and debris that is stuck and will contribute to rust forming and breaking down the guttering. In some case, when water damage occurs in a property it is due to inadequate cleaning of the gutters due to leaves and debris which can expose your ceiling, foundations and even electrical systems to costly interior damage. Professional high-pressure cleaning is required in some cases to clear debris and ensure the roof is in perfect condition. Whether you like it or not, often animals and pests can make their home in your gutters which can end up meaning you need to track down the animal and give it an eviction notice. Gutters are the perfect environment for pests and animals to make their homes and a professional gutter clean when your gutters are blocked will mean you have a property that is free from nesting animals and any plagues of insects like mosquitos. During fire season, Australia can be susceptible to nasty natural environmental conditions and clearing your gutters of dry leaves can reduce your fire risk and deter possible hazards from occurring. 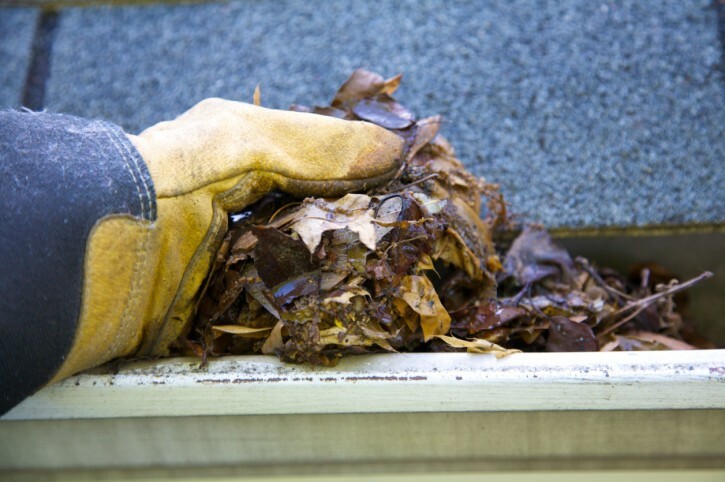 While clearing your gutters of leaves might seem simple, it can be a big job, and you will want to ensure this task is done properly to protect your home from fires and any potential dangers and have peace of mind. What things are included in a gutter clean or when clearing a blocked gutter? Gutter blockages can be the result of a range of issues and should be undertaken by experts in gutter repair and maintenance. It’s important to ensure that if you want your property free from water damage and storm damage you engage expert help to clear out your gutters and keep them in great condition. Gutter and roofing repair businesses such as Rite Price Roofing offer a wide range of services for gutter cleaning and maintenance designed to ensure your home’s greatest asset is protected and you aren’t faced with a massive repair bill in the event of damage to your gutters or roof. If you are in need of gutters cleared in your property it’s important to not wait for a heavy down pour or natural event to occur before you do anything about it. Blocked gutters can lead to serious issues if an overflow occurs and rainwater can cause issues throughout your property that can be costly and time consuming to repair. Whether you need to clear gutters, fix downpipes, remove animals or insects or install leaf guards, a specialist roof and gutter expert is required to ensure you get a quality job done that will stand the test of time. If you want to ensure your property is free from rusted gutters, weak foundations, uninvited pests and potential issues with your gutters, engaging the service of a domestic or commercial roofing expert will provide the guidance you need to ensure the job is done correctly first time. To find out more, speak with the gutter and roofing specialists from Rite Price Roofing. We specialise in offering the very best roofing services across Adelaide and go above and beyond to ensure your gutters are free from debris so your home can function properly. Visit our website to find out more information and arrange a quotation. Why should I engage a Roof Restoration Adelaide company for my home improvement? All Rights Reserved © Copyright 2019 Rite Price Roofing Products & Services Sitemap.